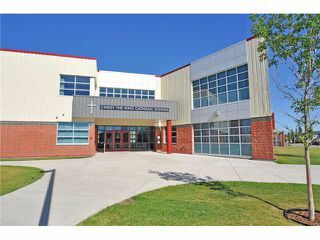 Walk your kids to school, less than a block & in a close! 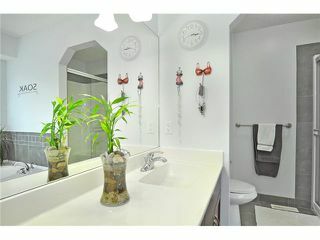 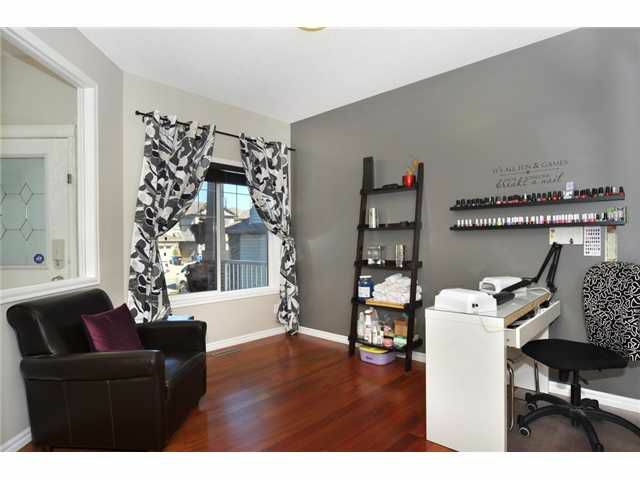 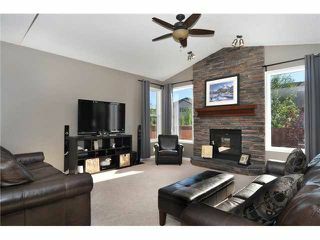 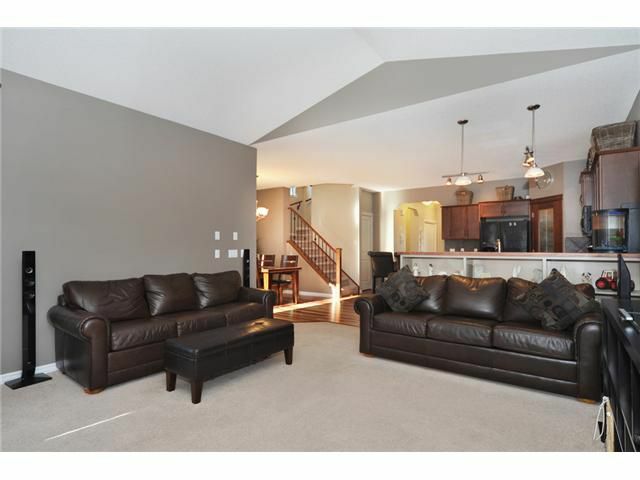 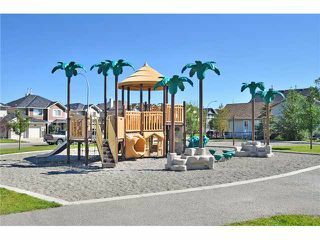 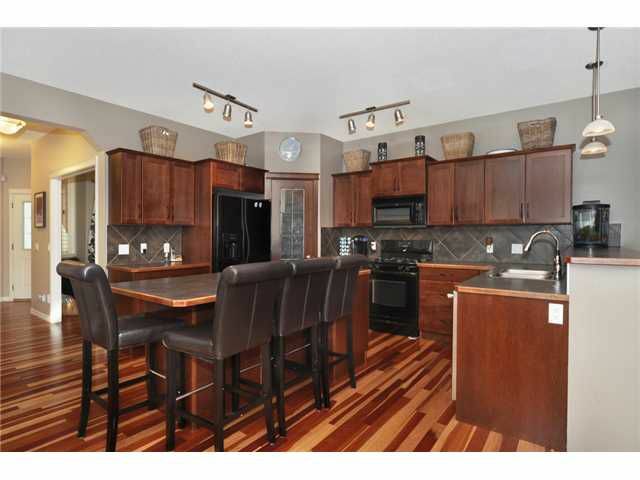 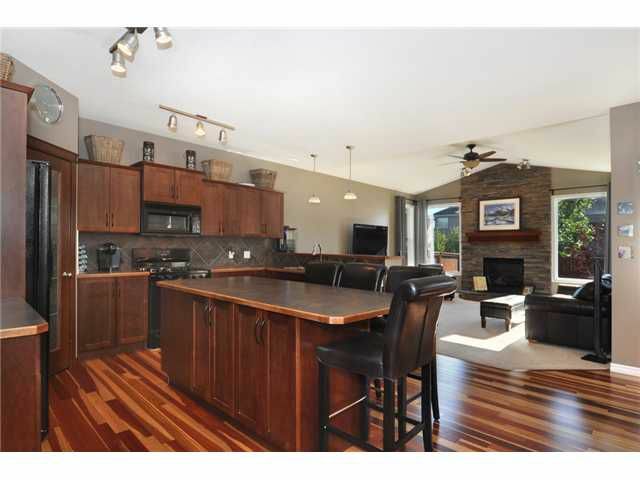 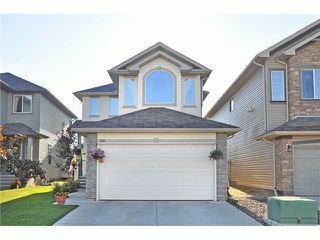 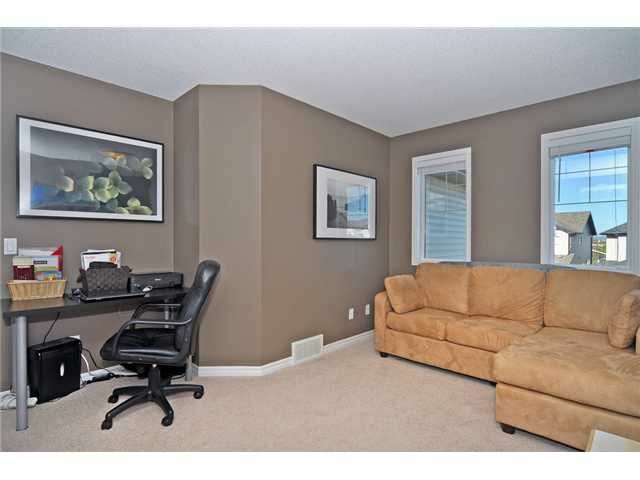 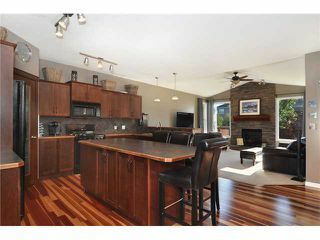 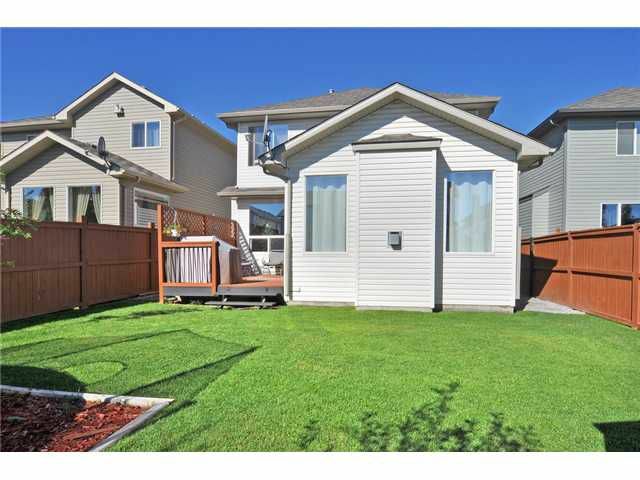 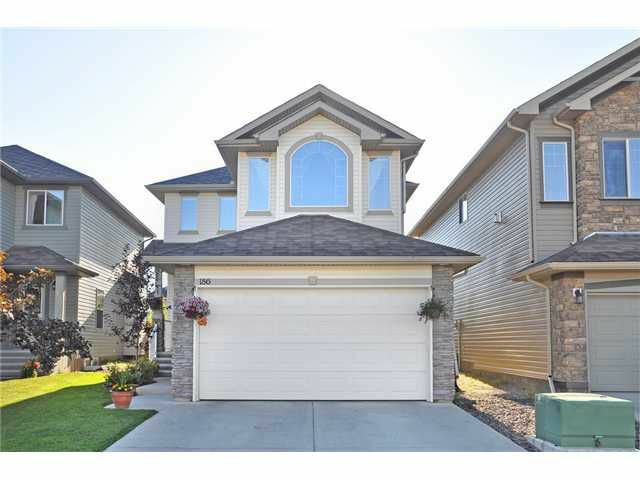 Gorgeous 3 Bedroom 2.5 Bath Two Storey Home in popular Cranston! Spacious home with 9' ceilings, Elegant Kitchen w/ dark wood cabinets, tile backsplash, corner pantry, new mountain Brazilian cherry hardwood & vaulted ceilings in the living room. 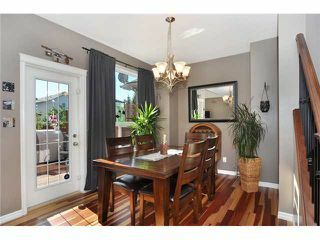 A separate dining area & good sized den completes the splendid main level! 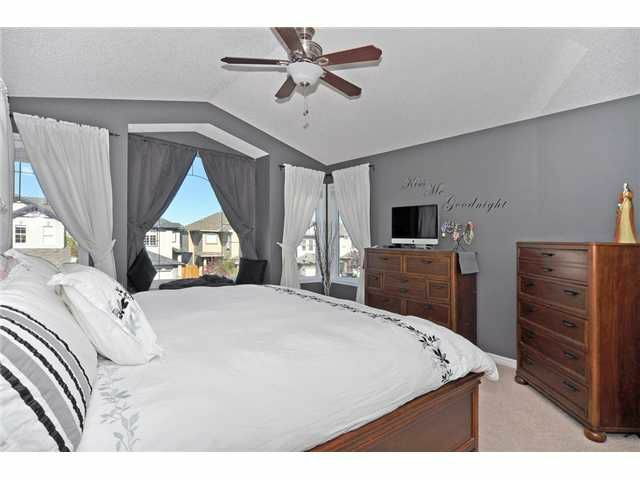 The upper level features elegant master bedroom with vaulted ceilings, built-in make up table & grand 5 pc ensuite newly tiled, 2 more large bedrooms plus jack & jill ensuite. Basement footprint is over 1000 ft2, framed, drywalled & electrical permits closed. 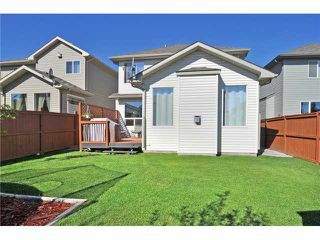 Due to sellers relocation to B.C. 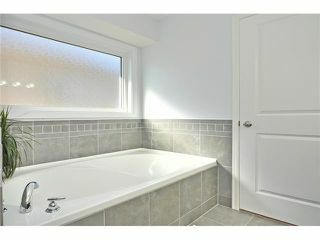 they cancelled contractor who was coming in Oct to finish. 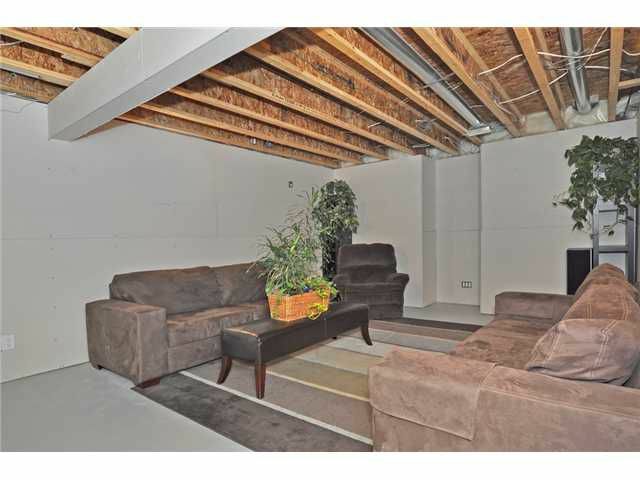 The oversized garage will accommodate a truck, boat or 2 vehicles comfortably. 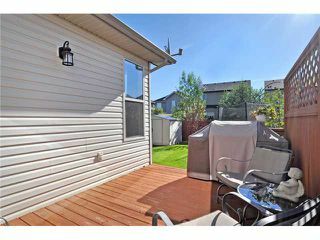 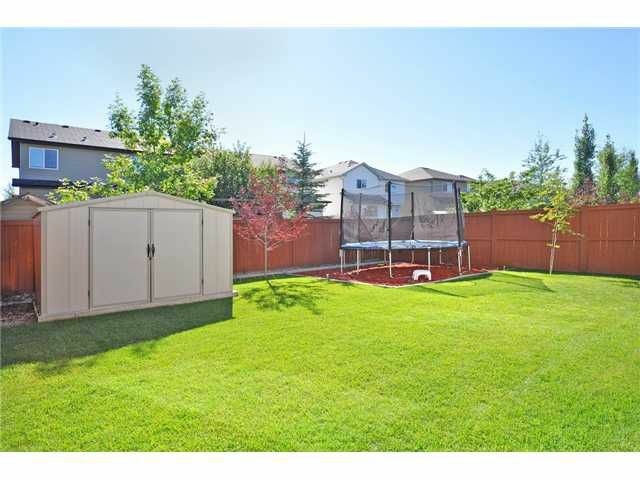 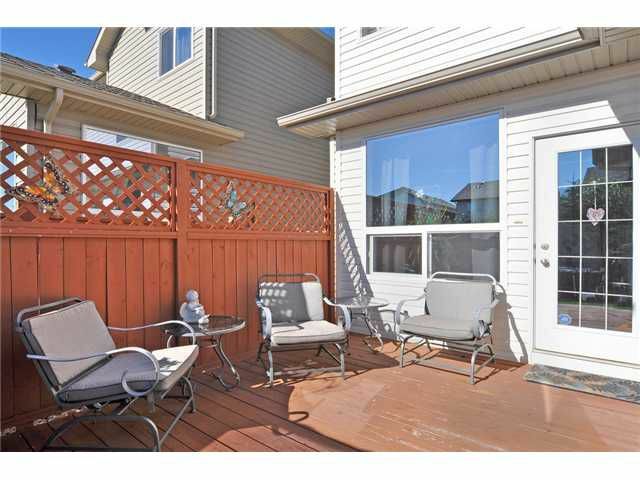 The backyard is fenced & completed with deck, plenty of green space. 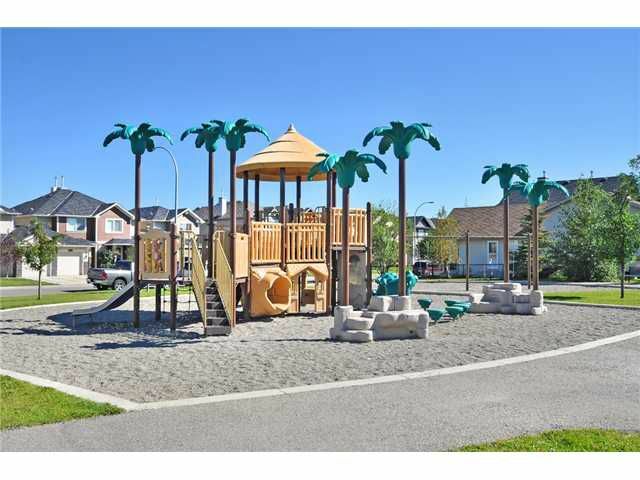 Nearby amenities incl south hospital, restaurants, shopping, access to bus, new Ring Road & LRT coming soon, Deerfoot Trail & more!